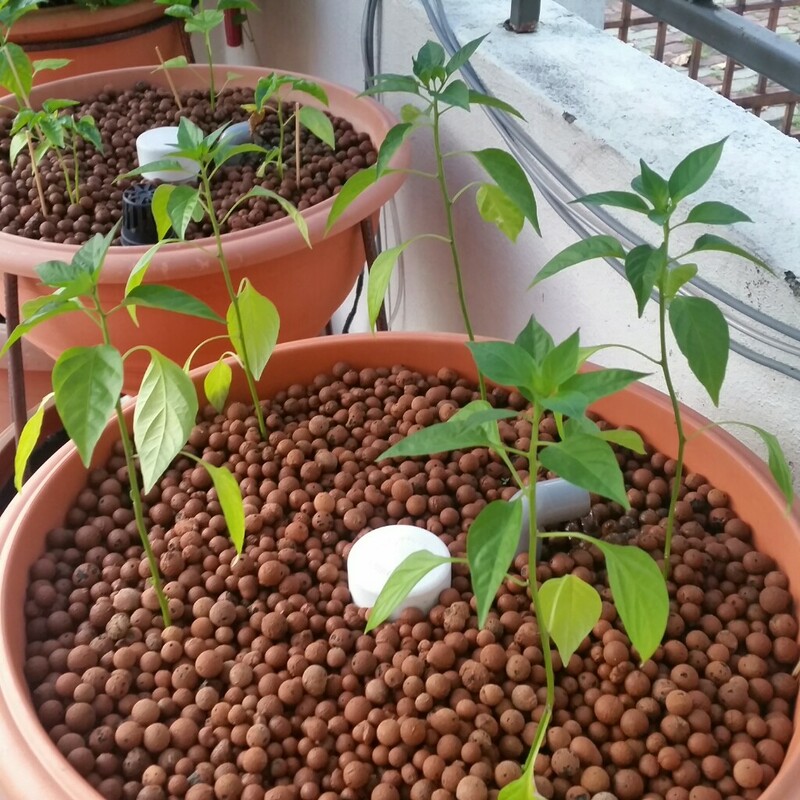 Was very hot these last few weeks and it affect even aquaponics plants, especially the newly planted seedlings. Few Chili plants that I transplanted to the Ornamental set was dying after the move and I had to act fast before it's too late. 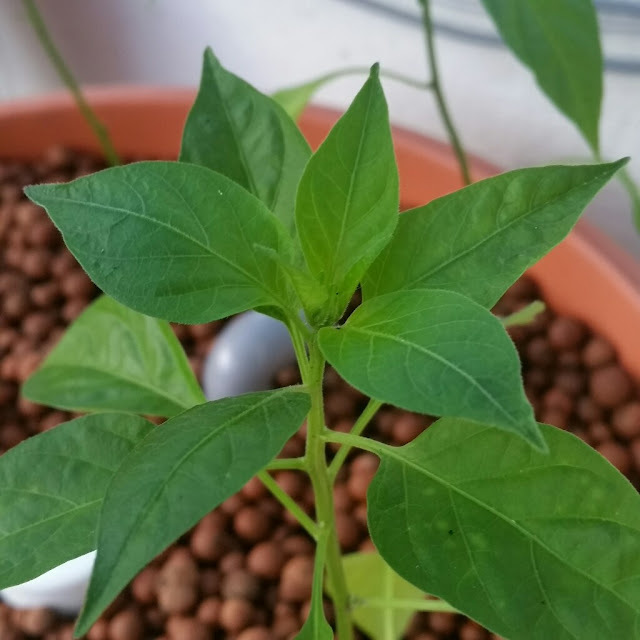 I have few spare nettings from previous project and they are put to give some shade to the chili plants. Slowly there is sign of recovery and during peak daylight it manage to reduce the intense heat giving time for the seedling to grow. Some light drizzle this last day or two do help in cooling down the set and reduce overall tenmperature during the day. 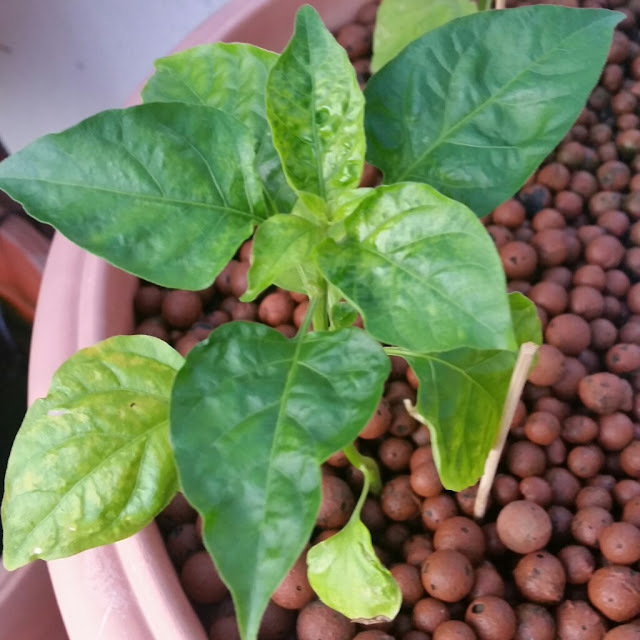 Still few weeks to go and I hope they survive to give me red hot chili. 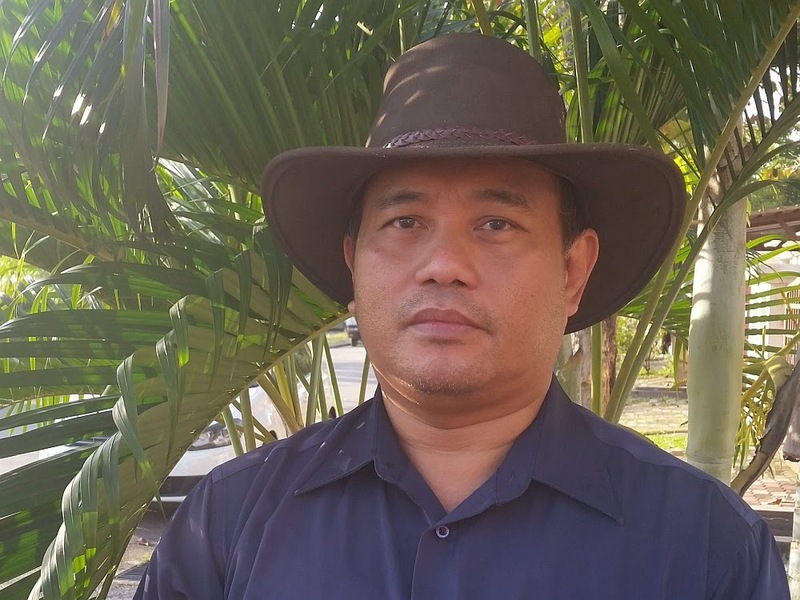 Semaian boleh terus ke hydroton, atau boleh juga guna pasu plastik yg mengandunggi tanah dan letakkan dalam growbed bersama benih semaian. Makan ikan saya guna yg biasa sahaja, boleh dibeli di kedai Aquarium jenis terapung.